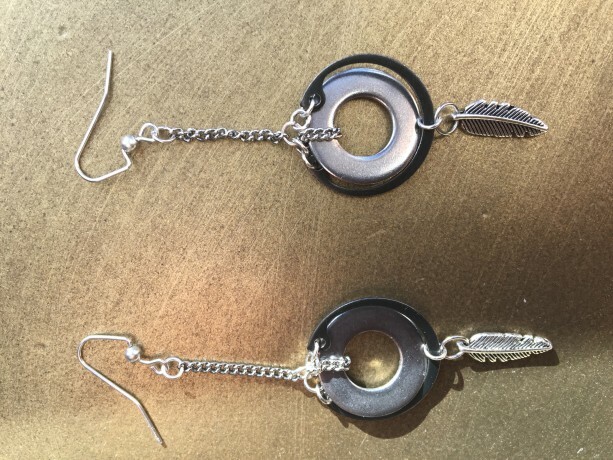 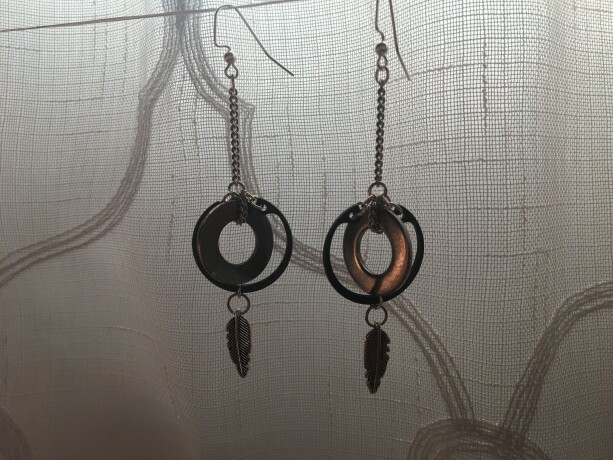 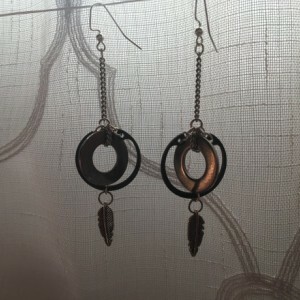 Right at the corner of the Washers bin and Bohemia, this fresh pair of earrings brings the two together beautifully. 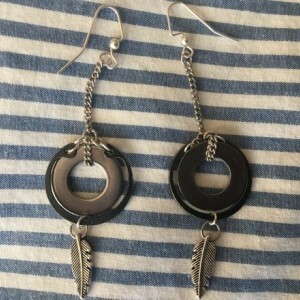 Enjoy them yourself or give them as a gift. 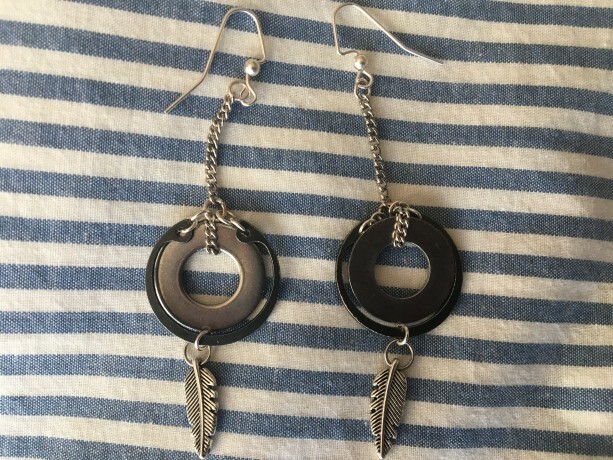 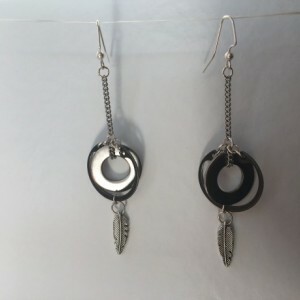 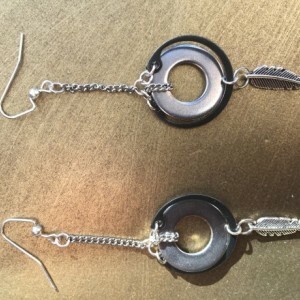 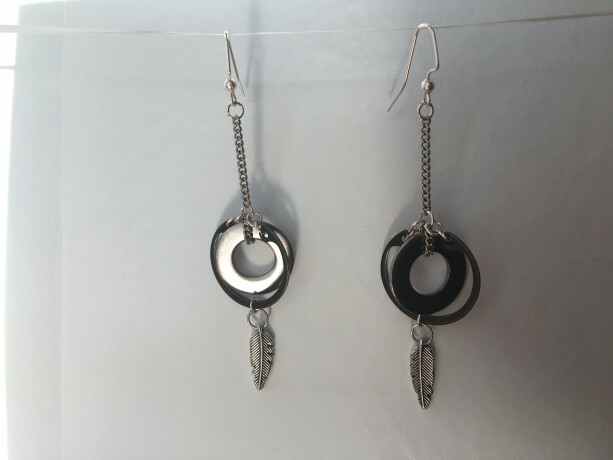 The fishhooks are nickel free, and the feather decoration is silver-plated.